I recently acquired the six comiquettes in the Sideshow Collectibles TMNT line. There are rumors of new releases for this line coming, so I wanted to catch up on it. These pieces have had my attention for a while and I am very happy that I was finally able to get them. 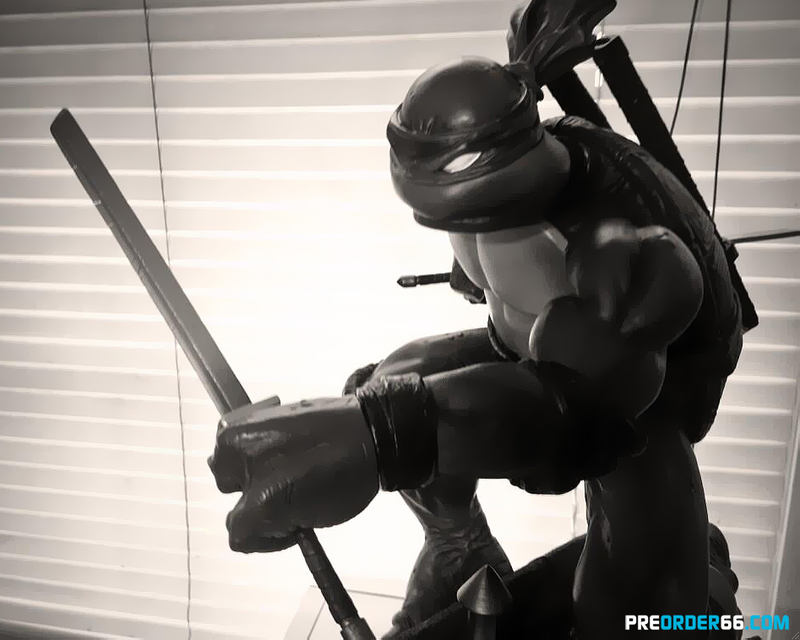 These are the non exclusive versions of the statues. This meant that all of the turtles have the Red headbands and not their respective TV show colored ones. Because Raphael already had a red headband his exclusive was a Sai with a note attached to it. The shredder exclusive also had a third head that was unmasked. Not having the exclusives is not a huge deal to me. 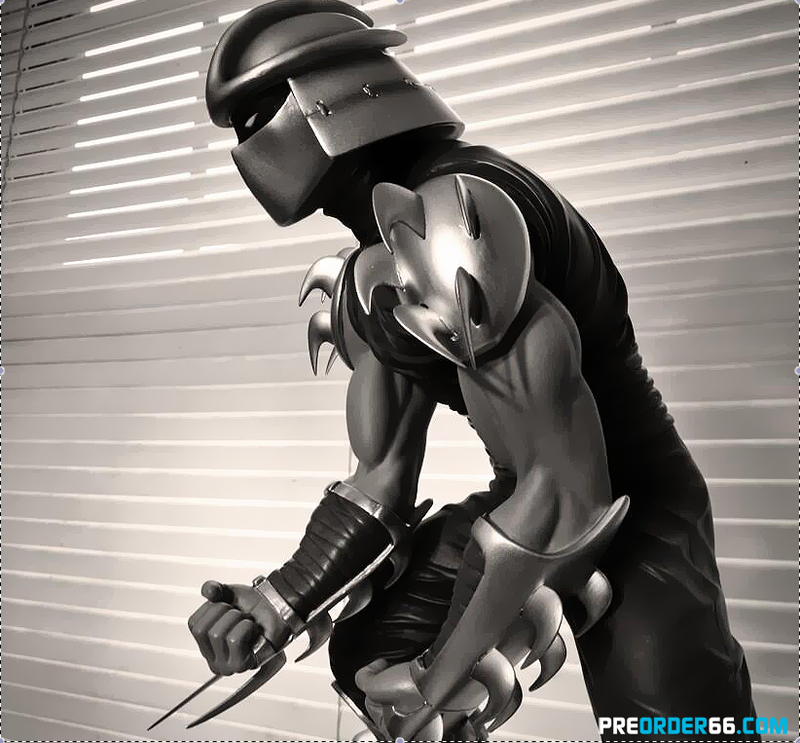 I feel these sculpts were more influenced by their comic counterparts, therefore, the red headbands work well for me -While Shredder is literally sculpted right from a panel in the original Mirage run. I know some may not agree with me as the colored headbands were what many of us grew up with. 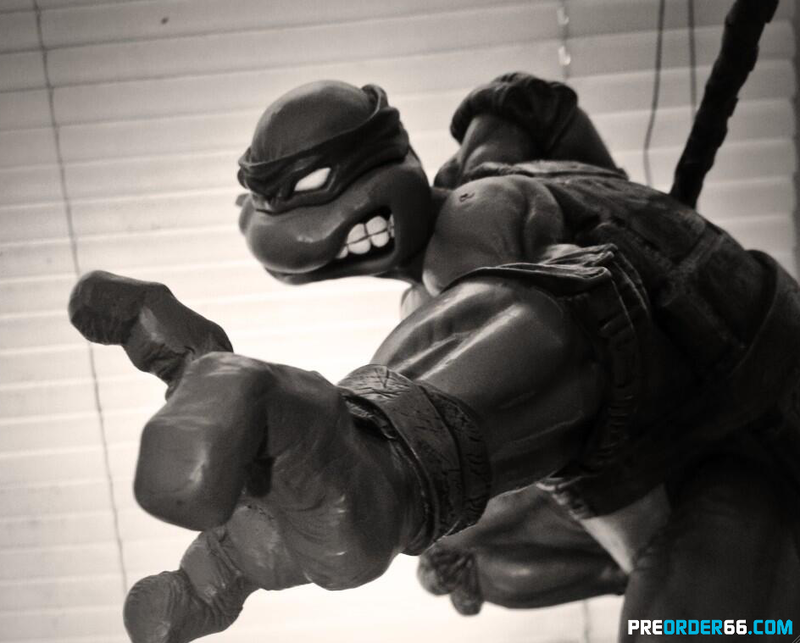 I would like to see Sideshow do more versions of the turtles in the future. It would be awesome if they did another line based on the current cartoon designs and I would love to see the 1990 movie designs done in Premium Format. All in all I am really happy with the direction Sideshow decided to go with for the comiquette line and I hope they continue in the comic vein with a few future releases. There are rumors of April and Casey Jones being the next ones we see. After those I wouldn't mind a Splinter and Foot Soldier before they move on to another version of the turtles. So what do you guys think of these statues? Would you have preferred them to be more in line with the original cartoon series? Please share your thoughts! Also be sure to check back as I have only shown of 5 of the 6 here. I plan on doing a more in depth look on each of the statues. 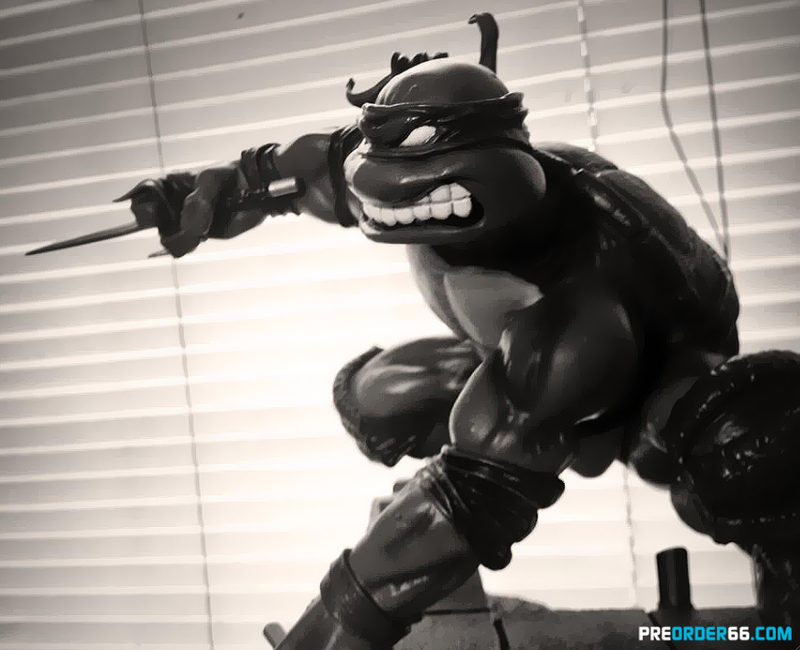 And for a bit more TMNT love here is a video Deefuzz and I did over a year ago before the new series started. Those are awesome. I am not a statue type guy really but these would be a fantastic addition to my top shelf....Great review! 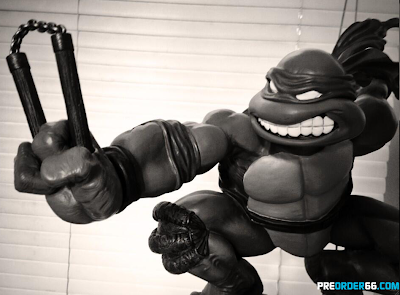 Great photos of some stunningly cool sculpts dude!